The skeletons? They're part of it! But you already knew that. And so did your kid. Because they've been all about the 100 Floors of Frights since the very first time they were asked "Any Questions?" Yeah, the SNL sketch Haunted Elevator made quite the impression on folks young and old alike, and while David S. Pumpkins is supremely cool, we think the beat boy skeletons deserve an equal amount of attention. Ay Papi! 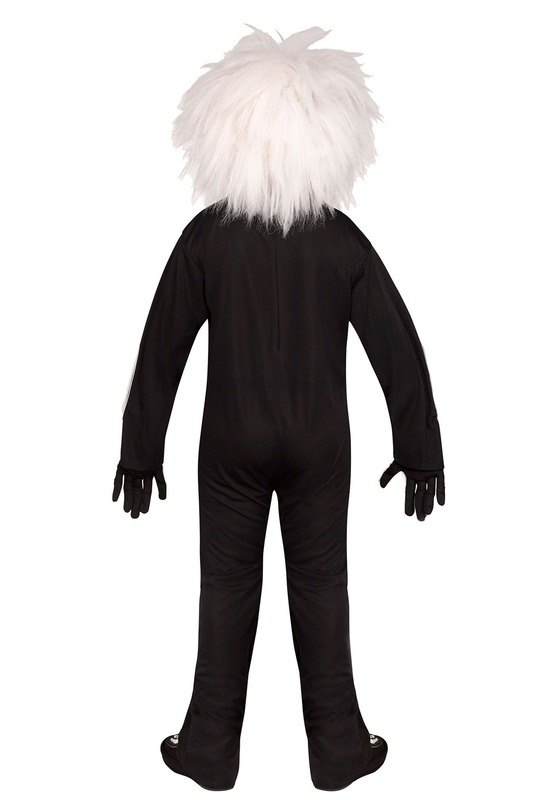 So, if your kiddo is destined to suit up in the haunted elevator, the best course of action is to pick up a pair of these costumes, and set them up for wicked Halloween fun. And maybe get one of their little friends to be David Pumpkins, too. Sounds great! Any questions? This Beat Boy Skeleton Boys Costume is SNL officially licensed, and ready to transform any kiddo into David Pumpkin's sidekicks from the 100 Floor of Frights. The original Beat Boys were played by Bobby Moynihan and Mikey Day, but we're sure your little guy or gal will do great, and this costume has just what they need for the role. 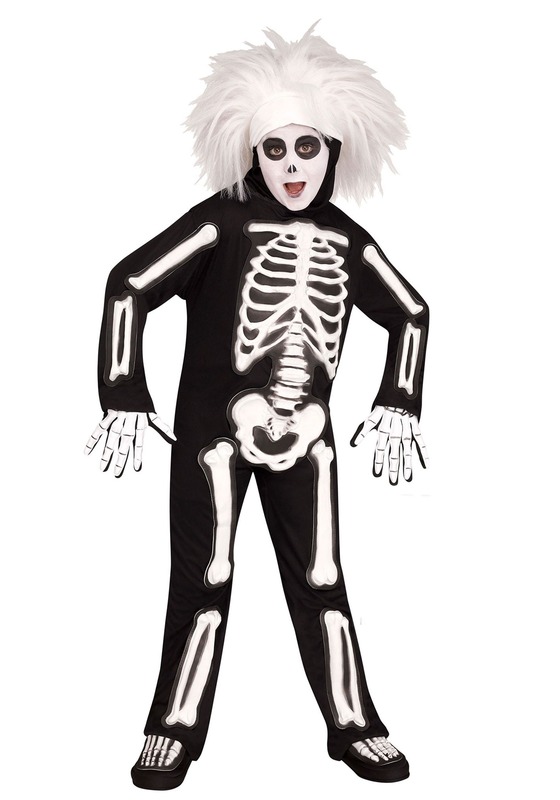 This costume includes a skeleton jumpsuit, headpiece/wig, gloves, and shoe covers. Makeup (sold separately) will be required to exactly recreate the SNL style. WE'RE GONNA SCARE THE HECK OUT OF YOU! The David S. Pumpkins and Beat Boy group theme is sure to be the stand-out hit of your kid's costume party. Have them practice their dance moves and key phrases, and they're sure to be stars!